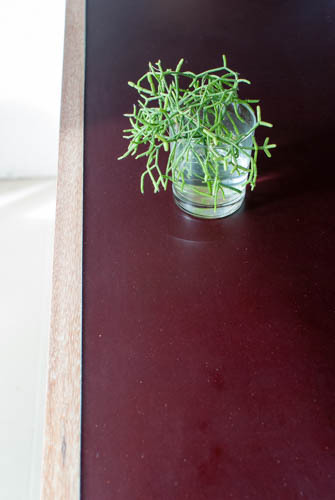 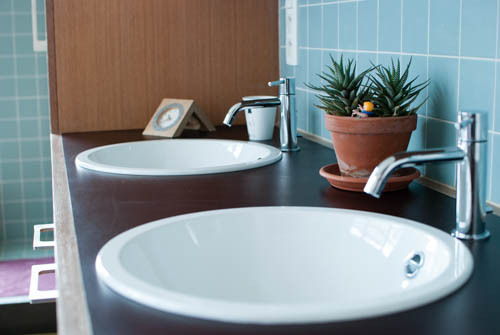 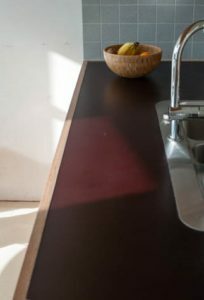 Kitchen and bathroom tablets in Ghent area covered with Cranberry Touch of Nature®. Seamless connection with the wooden frame and perfect match with the wall tiles; a changing aesthetic experience depending on light, sun and season! For more pictures: see our recent projects page!